. . . or how to set race and religious relations back 400 years. Glenn Beck, mouthpiece for the Tea Party and multi-millionaire, who lives protected in an 8,000 square foot, 7 bedroom/bath, mansion in Dallas, Texas, has crossed lines before. He has over and over again played the race card and unbelievably has said point blank that “President Obama is a racist.” He is stupid at best and vile scum at worst. However, he has stepped greatly over the line again. Glenn Beck, who is an avowed Mormon (I guess they don’t teach love thy neighbor in that church he attends or pray for those who are in authority over you or live peaceably with all men or any other pro-humanity scriptures) has offered to the word a jar of urine containing a bobble-head of President Barack Obama. What’s further insulting is that he claims that this is a “response” to the artwork of Michael D’Antuono’s picture of Barack Obama as a type of Christ – which I’m no fan of, personally – as if the President posed for that picture personally. If Glenn Beck had an issue about it – go after Mr. D’Antuono. Put him in a jar. He’s the artist. That’s akin to not liking the Mona Lisa portrait and rather than to damn the artist, you slap the fool out of Ms. Lisa. Mr. Beck has not only insulted the sitting President of the United States, he has also defamed African-Americans and once again he proves that Mormons don’t give a damn about African-Americans, which we knew, and why 99% could not even consider voting for Mr. Romney (another Mormon) in the first place. Mormons have an entrenched history in considering African-Americans as “second class” and until recently, they held a public view (I doubt seriously that it’s been white-washed from all of their adherents) that we don’t even possess souls. We are souless creatures to them – kinda of like cats or dogs or furniture. This is why most theologians don’t consider Mormonism as a branch or associated with Christianity. Their religious views that Joseph Smith is their savior instead of Jesus, their polygamy matches their polytheism (and many of them have several wives) and their racism (and yes, this is racist what he did) means that Mormonism is producing leaders like Glenn Beck as the poster child for their hateful religion. Go after the President after his policies. That’s American. But to sink this low. That’s Mormon at the very least and racist at most. #1 – Multi-culturism – The days of the “exclusively black” church are going by the wayside. In many of our congregations, they are become mirror images of society at large. With a sharp increase of interracial marriages and relationships, especially in the spike of black females with non-black males, the black church is turning into the brown church. I think we’ll still have our distinctive flavor, but some rhetoric is on the way out. 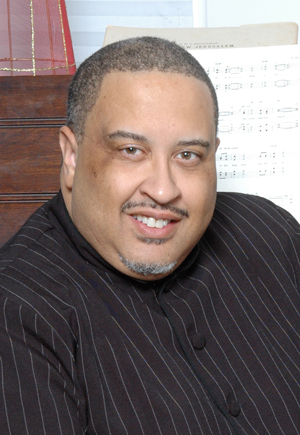 #2 – Un-Conventional Conventionalism – The days of the power of black baptist conventions is starting to wane now. Their influence from 35 years ago has dramatically shifted. 35 years ago if you crossed a President or Moderator, you were banished to the land of “never heard from again.” But now Conventions are dramatically smaller, in most cases struggling, and power is no longer in one man’s hand that can hurt or cripple you in your home area. Instead, the local pastor can fight back by refusing to play the games and withhold finances. # 3 – Media Matters – The pastor of the future will have to be a tech-savvy pastor. If he thinks an iPad is a paper product, and iPhone means it belongs to you, and power point is a loud point in your sermon – you’ll be left in the dust. Our constituents are tech savvy. They come to church to praise the Lord, check their Twitter fee, look at e-mail and read Scripture on their tablet – ALL AT THE SAME TIME. A tech-savvy pastor will utilize technology to his or her advantage in order to draw members closer. # 4 – Lack of Interest in Sunday School – Please don’t kill the messenger. But most pastors know that Sunday School is a dying art-form within the black baptist experience. The lack of trained, qualified teachers combined with a lethargic pew and, in most cases, a disinterested pulpit is the perfect storm. Sunday School will have to modify and try new things. Classes may have to combine and in some cases, the Pastor may have to chip in more and more into the mix. Otherwise, Sunday School is on track to catch up with her country cousin, Baptist Training Union and YPWW. #5 – Unintentional Competition – Many pastors in the future will be forced to be different. Because this is, as one minister stated, a “Free Agency” Christianity. If you’re a clone of the pastor across town and someone is looking for a church home – imitation is not flattery, it’s deadly. I believe God will use this to discontinue the practice of imitation and begin a new wave of preachers giving the word in their own comfort zone. # 6 – New Voices – Somewhere out there is not the next T.D. Jakes or Paul Morton or Julius Scruggs or William Shaw or Donald Parson. There are new voices that will be raised up because churches today that are smaller in membership are easier to grow than established mega churches which have “arrived” in their own minds. Remember the top 10 churches in membership were all small churches when they were started. And all of the “prime time” pastors all began as struggling novices. # 7 – The end of Pomp and Circumstance. The end of the “celebrity pastor” is nigh. Bodyguards, armor bearers, adjutants, and all of that ilk are on the way out. If you need two go through five channels to get to your pastor, the church persons of the future will just find a pastor they can connect with. I’ve never been a great one on all of the protection and remember when I preached at a particular mega-church, that they had something there that burned an impression in my spirit. They had a Nurse following me just in case someone shook my hand so I could wash that “spirit” off of me immediately. Tick, tock . . . that clock is winding down. # 9 – The rise of an educated pulpit. 35 years ago Pulpit Committees didn’t require as much schooling as some do today. If you could “hoop” you were in. If you couldn’t hoop, you better have had an education. That’s changing because those who churches select want a pastor who is educated, pushes education and believes in education. Of course, this is not universal, and there is a hindrance because many of our once proud schools are either closing or having financial trouble. Bishop College’s demise put a dent in pulpits all over the country. #10 – A return to a Father-Child paradigm in ministry. 35 years ago a Father in the Ministry was essential for pastors. Then came sons and daughters who moved away from that when their church size was larger than their parent’s church. However, that is now changing since the demise of conventions and you’re finding more pastors looking for pastoral mentors. I have a group of young pastors across the country that I connect with and although I’m not their pastor, I’m a father-figure to them. We’re going back to the Father-Child paradigm because Presidents and Moderators are being deemed non-essential. The Rev. Ricky Spain, pastor of East Baltimore’s Waters African Methodist Episcopal Church who had also been a community activist in his years as an Annapolis-area pastor, died of cancer Nov. 16 at the Tate Chesapeake Hospice House in Linthicum. The Severn resident was 63. Born in Virginia Beach, Va., he was the son of Luther and Florence Spain. A 1967 graduate of First Colonial High School, he won state honors for wrestling. After studying at Norfolk State University, he earned a bachelor’s degree in political science at North Carolina Wesleyan College. He also earned a master’s degree in divinity at Wesleyan Theological Seminary and had additional degrees in guidance counseling and adult education from Carolina A&T State University and a doctorate of humane letters from Paul Quinn College in Dallas. He also served in the Marine Corps. Before becoming pastor of the Waters AME Church in 2005, he was an associate minister at Metropolitan AME Church in Washington, D.C. He also had assignments in Asheville, N.C., Reidsville, N.C., where he was elected to the City Council in 1977, and on Maryland’s Eastern Shore. Nearly 20 years ago, Mr. Spain became pastor of the Mount Olive AME Church on Hicks Avenue in Parole. 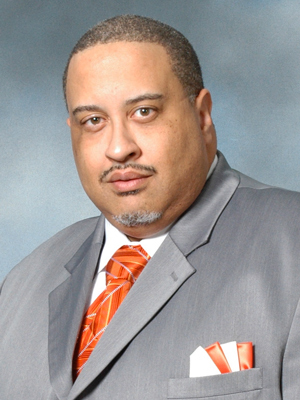 He became active in local affairs and managed a campaign to get Carlesa R. Finney named to the Anne Arundel County school board. She later headed the board for three years. In 1993, County Executive Robert R. Neall named him to the Anne Arundel County Welfare Reform Initiative Task Force. Mr. Spain was also a member of the United Black Clergy, a Children at Risk schools program, the Committee for a Drug-Free Annapolis, the county School Guidance Advisory Council and the Anne Arundel Red Cross board of directors. Mr. Spain also held the post of editor in chief of the African Methodist Episcopal Christian Recorder. She said that her husband was also an addictions counselor for the Baltimore City Health Department and worked in that field in downtown Baltimore at the state prison complex. She said he sponsored Alcoholics Anonymous meetings and also had a weekly meal for the homeless at his Aisquith Street church in Oldtown. Mr. Gilliard said that Mr. Spain believed in the ecumenical ties between denominations and was able to break down traditional barriers. He also remembered him as an adviser. “I cannot recall a time when I had a personal crisis that Ricky Spain was not there,” he said. Mr. Spain was a member of the Prince Hall Masons and the Alpha Phi Alpha Fraternity. Services will be held at noon Saturday at Bethel AME Church, 1500 Druid Hill Ave. In addition to his wife of 33 years, survivors include three sons, Titus Spain of Reston, Va., Shae Spain of Salisbury and Ricky Spain II of Severn; a daughter, Amber Spain of Hanover; three brothers, Luther Carter Spain of Virginia Beach, Va., Ray Spain of Warrenton, N.C., and Kirby Spain of Tampa, Fla.; a sister, Fay Wilson of Hampton, Va.; and three grandchildren. This was an extraordinary day. The temperature is dropping. We are slowing making the transition from fall into winter. The trees are shedding their green leaves and Thanksgiving is just a few days away. We had a great crowd today during our 8 a.m. service as we gathered for not just worship but to hear our newest associate minister, Sister Angela Washington, preach her first public sermon. 34 years ago we would call that a “trial sermon” – however times have changed. Worship began with the hymn written by Kenneth Morris, “Christ Is All.” I’ve loved this hymn since I heard it when I was child. Later in the service Minister Washington blessed us tremendously with the sermon, “An Epiphany of Faith.” She closed with a memorable illustration about a frog who got out of a pit in a land of frogs, even though the odds and fellow frogs were against it. I was truly proud of her. She labored well over the sermon and I heard some “Houstonisms” in her presentation, which made my chest stick out like a proud father in the ministry. After teaching Sunday School (and what a great lesson it was on Hebrews 12) it was time for our 11 a.m. service. The crowd was down due to a shift in those who attended 8 a.m. but by preaching time, we had a nice crowd in attendance. The Gospel Choir really sang and they never fail to give God their best. I am grateful for their music ministry. I recently purchased an iPad Mini so I preached from it for the very first time. It actually went very well although the print was smaller compared to my iPad 3. When I preached in Cleveland earlier this year, Rev. Derek Witcher of the Israelite Missionary Baptist Church taught me how to save it as a PDF, with 24 point, and then open the document in iBooks, so that the pages would go back and forth like a book. God was exceptionally kind to us in this sermon and for the first time in about three months, a young man united with the church for baptism. I couldn’t help to remember the prophecy given by Dr. Kilen Gray when he preached for us a few days ago that God was getting ready to take us to another level and I feel that today was the down payment. To God be the Glory. A few of us gathered this afternoon for corporate prayer at 5 p.m. and that was a beautiful end to a great, great day. AND NOW IN THE WORLD OF SPORTS . . . The Oregon Ducks were the number one team in the nation – for about 45 minutes. It was a terrible loss at home in Eugene, Oregon and the shock of the game on the students’ faces told the story. They need a clutch kicker. He missed two opportunities to either have won or win the game for the Ducks. I’m not into the new NBA season as of yet. I understand that the New York Knicks have been tearing up the league – but it’s all early. We’ll see after the first of the year where the league is at. Now, I’m concentrating on football. And the NFL . . .
Buffalo 19, Miami 14 – gone are the good old days of Miami teams that could actually play in the NFL. Atlanta 23, Arizona 19 – Good rebound for the Falcons. They’re cruising to the playoffs. Tampa Bay 27, Carolina 21 – Not a bad overtime game. Carolina’s having a horrible season. Dallas 23, Cleveland 20 – Could it be that Dallas may be heading to the post-season? The Browns defense was killing themselves. Green Bay 24, Detroit 20 – Green Bay is now officially on auto-pilot. The playoffs await. Houston 43, Jacksonville 37 – The Texans can start printing their playoff tickets. They’re in. Cincinnati 28, Kansas City 6 – The Bengals made it look easy and KC didn’t just help, they facilitated. NY Jets 27, St. Louis 13 – The problems are still there. They need to trade Tebow to Jacksonville. Washington 31, Philadelphia 6 – RG3 was off the hook and it’s time to end the Reid/Vick experiment. Fire Reid and retire Vick – according to reports, his injuries are more serious than previously thought. For his own good, retire him. New Orleans 38, Oakland 17 – Who Dat? It’s the Saints clawing their way into playoff contention. Denver 30, San Diego 23 – One of the best rivalries in the AFC but Manning is playing like a youngster again. New England 59, Indianapolis 24 – Embarrassing game of the day. Andrew, you had no luck and no chance. Pastor Harvey Riley, a longtime minister and community service stalwart who took the gospel from the neighborhoods of south Melbourne to the Jordan River in Israel, has died following a long illness, church officials confirmed today. He was 77. 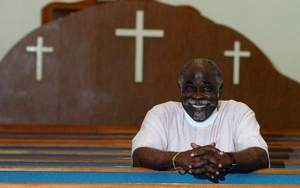 Riley was pastor of the 600-family Mount Moriah Missionary Baptist Church in Palm Bay for 30 years and a minister for five decades who gave his first sermon in Greater St. Paul Missionary Baptist Church in Cocoa where his father was a deacon. He also worked with businessmen, politicians, civil rights leaders and other pastors from across the nation. Riley served as chairman of the board for the Florida General Baptist Convention and was awarded a Lifetime achievement award at the Space Coast Onyx Awards in 2010. Last month he watched via Skype on his iPad as the church celebrated his 30th anniversary as pastor. In recent years Riley supported efforts to develop a mentorship conference for black youth, gathering clothing and other goods for earthquake victims in Haiti and helping to carry the gospel of Jesus Christ to Nigeria. Riley is survived by his wife Johnnie Mae Davis.